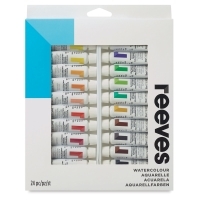 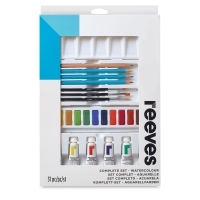 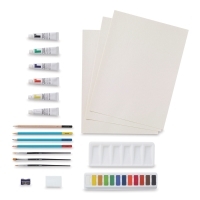 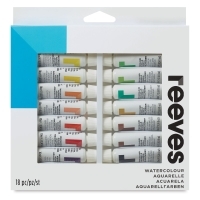 Good-quality color at an economical price, Reeves Watercolor Sets are ideal for students and beginners. 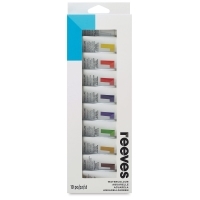 School Pack of 144 Tubes — Ideal for classrooms and workshops, this set includes 144, 10 ml tubes packed in a handy storage box. 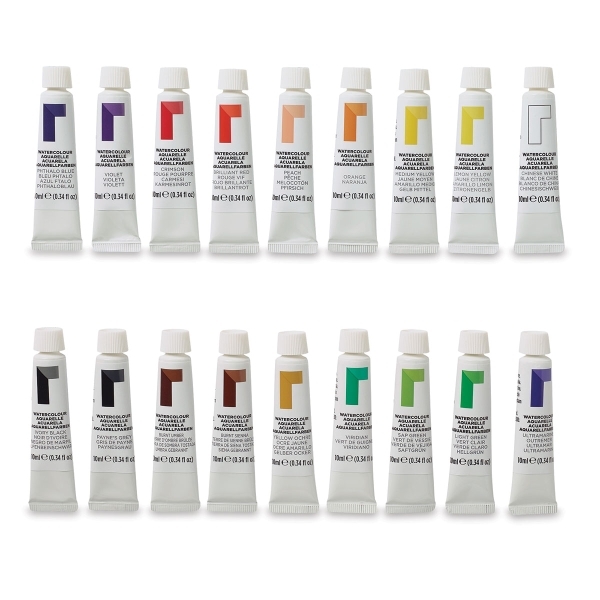 It contains 12 each of Chinese White, Lemon Yellow, Medium Yellow, Brilliant Red, Crimson, Phthalo Blue, Ultramarine, Sap Green, Viridian Hue, Yellow Ochre, Burnt Umber, and Ivory Black. Set of 20 - 22 ml tubes — Set of 20 - This set contains 20, 22 ml tubes including Chinese White, Lemon Yellow, Medium Yellow, Orange, Flesh Tint, Brilliant Red, Crimson, Rose Madder, Violet, Cobalt Blue Hue, Phthalo Blue, Ultramarine, Perm Green Light, Sap Green, Viridian Hue, Yellow Ochre, Burnt Sienna, Burnt Umber, Payne’s Gray and Ivory Black. 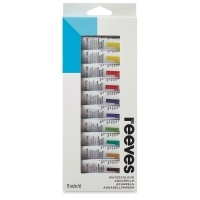 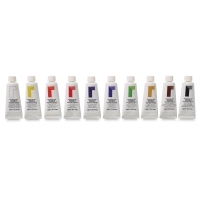 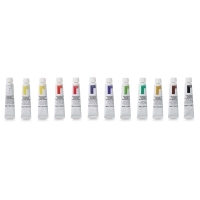 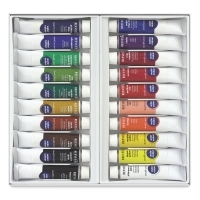 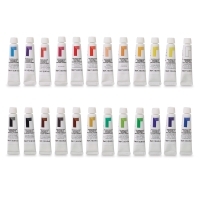 Set of 18 — This set contains 18, 10 ml tubes including Chinese White, Lemon Yellow, Medium Yellow, Orange, Flesh Tint, Brilliant Red, Crimson, Violet, Phthalo Blue, Ultramarine, Permanent Green Light, Viridian Hue, Sap Green, Yellow Ochre, Burnt Umber, Burnt Sienna, Payne's Gray, and Ivory Black. 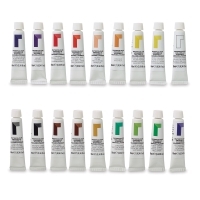 Set of 24 — This set contains 24, 10 ml tubes including Chinese White, Lemon Yellow, Medium Yellow, Deep Yellow, Orange, Flesh Tint, Magenta, Brilliant Red, Crimson, Rose Madder, Violet, Cerulean Blue, Cobalt Blue Hue, Ultramarine, Phthalo Blue, Permanent Green Light, Sap Green, Viridian Hue, Yellow Ochre, Burnt Sienna, Raw Umber, Burnt Umber, Payne's Gray, and Ivory Black.